So all you need to do now is to pack the things you want to take. 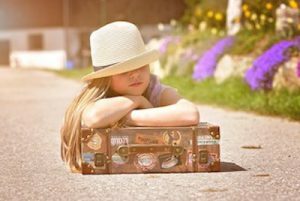 If you are traveling by air you obviously need to be very aware of the weight of tour luggage, and you probably have so many things that you want to take with you that it is often more difficult to choose what not to take! Should you take that extra pair of shoes? They may be lovely, but if you do take those then will you have room for your holiday first aid kit? 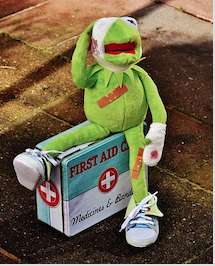 It Is So Important To Take Your Holiday First Aid Kit! Well, if you are anything like me, I have always been very glad that I have taken mine! And if you don’t take it, you can bet your life that at some point you will really wish that you had! After all, you don’t want to waste that precious holiday time looking for a doctor in a strange place, and possibly in a strange language when you are suffering from a minor ailment of injury that you could perfectly well treat yourself if you had the right remedies with you. Neither, I’m sure, do you want to spend more time traipsing round the shops looking for those remedies! You came on holiday to relax and do the things you really want to do, and I’m quite sure that searching for medical help was not on your list! Well, I really admire your optimism. But let’s be realistic and imagine what could go wrong. And in my own personal experience, often does! Children often fall over and cut or bruise their legs or other parts of their body – in fact, that has happened to me too!! Foreign food can sometimes disagree with you – often violently – and that needs to be dealt with fast! However careful you are, you may still get sunburnt. Too much time in the sun may lead to headaches. Then there are the dreaded mosquitoes – bites itch and hurt!! You may even be unlucky enough to sprain an ankle or wrist. Oh, what a horror story! But it need not be……. So long as you have the correct remedies with you, all these mishaps can be dealt with easily and effectively. Why Take Natural Remedies In Your Holiday First Aid Kit? At the moment I am just putting together my own holiday first aid kit. I always take Natural Remedies rather that proprietary ones whenever I can. The first one is that Natural Remeies are just as effective at dealing with minor problems as are the pharmaceutical ones, and the second reason is that they are usually much lighter in weight – an important point when travelling. 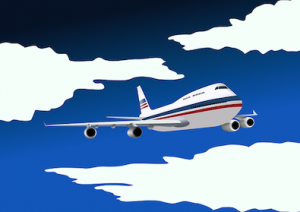 As you no doubt are aware, airlines have strict rules about taking liquids on board. “You can only take a total of one litre (approximately one quart) of liquids on board in hand luggage. All liquid containers must be sealed in a resealable one litre plastic bag. (approx.20×20 cm, or 8×8 inches. Usually, larger containers may be in baggage which is in the hold, but of course there is a weight limit for baggage in the hold too. As you know, liquids are heavy, so really you should take as few as possible so that there is enough space for the rest of your luggage. All of this makes your packing very complicated before you even consider your holiday first aid kit. 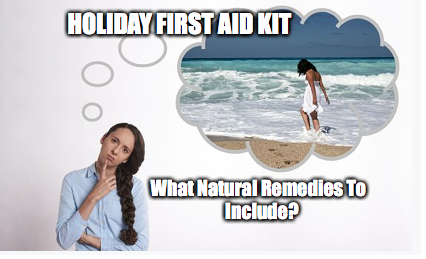 My Natural Holiday First Aid Kit…..
Will provide the essentials you need to deal with everyday ailments! A 10 ml bottle of Citronella Essential Oil. About 60 ml (2 fl. oz) of Rose Water. 2 small empty plastic spray bottles. Sterile dressings and Micropore tape of your choice – those are very light in weight. An ankle and/or wrist support. The liquids in this kit add up to 250 ml, or 10 fluid ounces, but of course you may choose to pack some or all of them in your hold baggage. 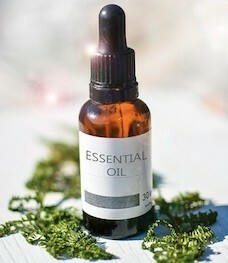 However, I would definitely keep the Lavender and Peppermint essential oils in my hand baggage, as they help to alleviate any travel or motion sickness. Simply put a drop on your pressure points. 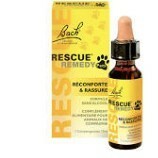 Rescue Remedy is one more remedy which I never travel without. It come in a 15ml bottle, and a few drops put on the tongue are very calming, and are my first port of call should anyone get an insect sting, or have any other kind of shock or injury. They are thus also very helpful for nervous travellers. In case of Nausea or vomiting, Peppermint can again be very effective. One or two drops in hot water will help with anything from Indigestion to Stomach Upsets, and it is also helpful to sniff the oil. Personally, I also take Peppermint teabags to use when it is practicable. 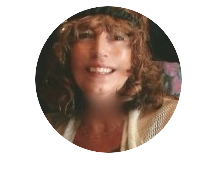 If you should wish to purchase any of the remedies I have mentioned, you can find them by clicking on the Products tab in the top menu on this page, and then choosing the products for your own country. So Have I Convinced You To Take Natural Remedies In Your Holiday First Aid Kit? I do hope so, and that by including them in your baggage you will avoid the need to visit the Doctor or Pharmacy. But I really hope that you do not need them! However, the fact that you do have them with you will definitely give you peace of mind! Very many thanks for reading this, and I would love you to leave any thoughts you may have about this, or any comments or questions, in the Comments box below. I will get back to you as soon as I possibly can. I wish you all a relaxing, enjoyable and healthy Holiday or Vacation. Previous Previous post: Fitflops for Women – And Men Too! Why I Love My Fitflops! 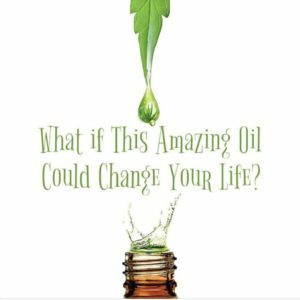 Next Next post: Benefits Of CTFO CBD Oil, And Where To Buy It.